Do you need slate roofing repair? If so, pick up the phone and get in touch with the professionals here at ProRoofing on 01202 518763. With 30 years of experience under our belt, ProRoofing are the number one choice for installing and refurbishing roofs. Regardless of property type, we can help as we have provided slate roofing repairs for domestic, commercial and industrial buildings over the years. Here at ProRoofing, our slate roofing repair team are always on hand when you need us most. Your roof is one of the most important areas of your property and should it fail, your furniture, possessions and safety could be placed at risk. To avoid further damage that could cost you a fortune to put right, be sure to give our slate roofing repair company a call. With our helpful advice and unrivalled expertise, our slate roofing repairs will ensure that your roof remains secure and waterproof for many more years to come. You can find out more about our process by reading the rest of this article. An issue with your roof can spell far-reaching consequences for those affected, so it’s a comfort to know that our slate roofing repair specialists are just a phone call away. Simply arrange a time for us to visit your property, and we’ll supply you with a FREE consultation and quotation service. 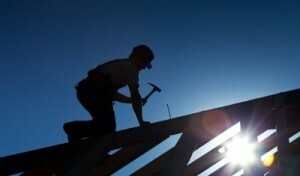 As part of our structural survey, we will assess the condition of your roof and provide you with a full report. This will include the recommendation of our expert surveyor for your slate roofing repairs. At ProRoofing, we are well-placed to complete the majority of slate roofing repair projects that we encounter. From broken and missing slates to cracking and nail fatigue, our team will arrive equipped with the tools and parts necessary to provide a quick and effective service. All work will be carried out by our team in-line with British industry standards. We also adhere to strict health and safety guidelines and are fully covered by liability insurance for all slate roofing repairs. Our aim is to have your slate roofing repair work finished by the time we leave, in the event that this is not possible we will ensure that your roof is secured. In rare instances, we may recommend replacing your roof entirely if we feel that financially it would not be in your best interests to keep having it fixed. What are the main causes of roof-related damage? If you have any questions about our slate roofing repairs, you can learn more by calling our team. Why should you trust our slate roofing repair company? At ProRoofing, we understand that our customers are looking to save money and that a damaged roof is the last thing that anyone wants to be paying out for. When you choose ProRoofing for your slate roofing repairs, you’ll enjoy a fully comprehensive service that won’t cost you a fortune. We regularly benchmark our prices against those of our competitors to ensure that our customers receive the best value for money for their slate roofing repair. Our team are fully qualified and certified to carry out slate roofing repairs on a wide range of properties. From small bungalows to large retail buildings, no project is too big or small for us to handle. So confident are we in the quality of our slate roofing repair that we provide a full guarantee on all our work for a minimum of 10 years. Plus, for your added peace of mind, our team are fully DBS checked. As a company, we boast the shortest lead times for our slate roofing repairs. We recognise the disruption that both the damage and our work can cause. For this reason, when you call ProRoofing, you can expect a prompt and reliable service to have your slate roofing repair completed in no time at all. So, if you’re in need of immediate slate roofing repairs and are stuck for who to call, give ProRoofing a try and see what sets us apart from the rest. Book your slate roofing repair now by calling ProRoofing today on 01202 518763.